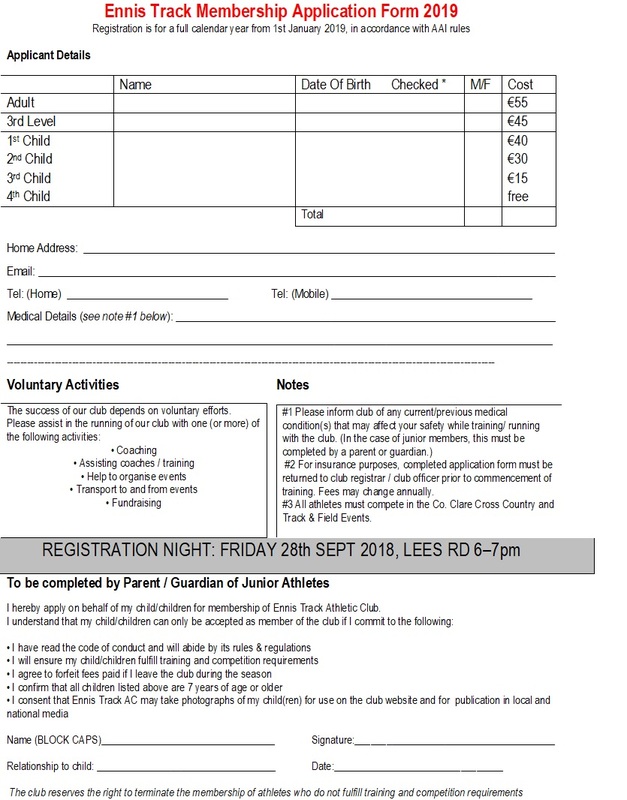 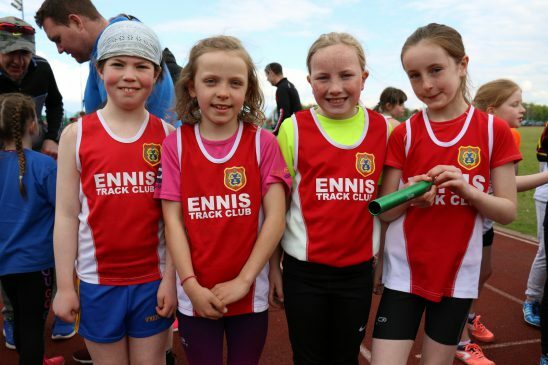 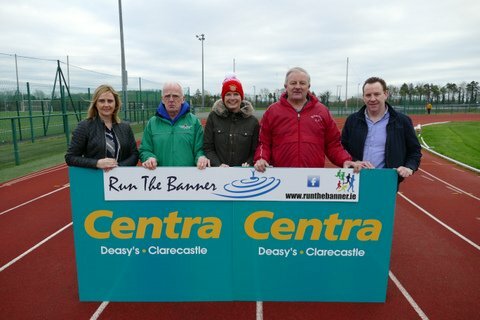 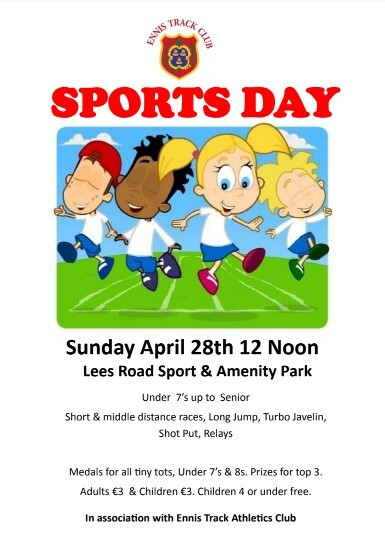 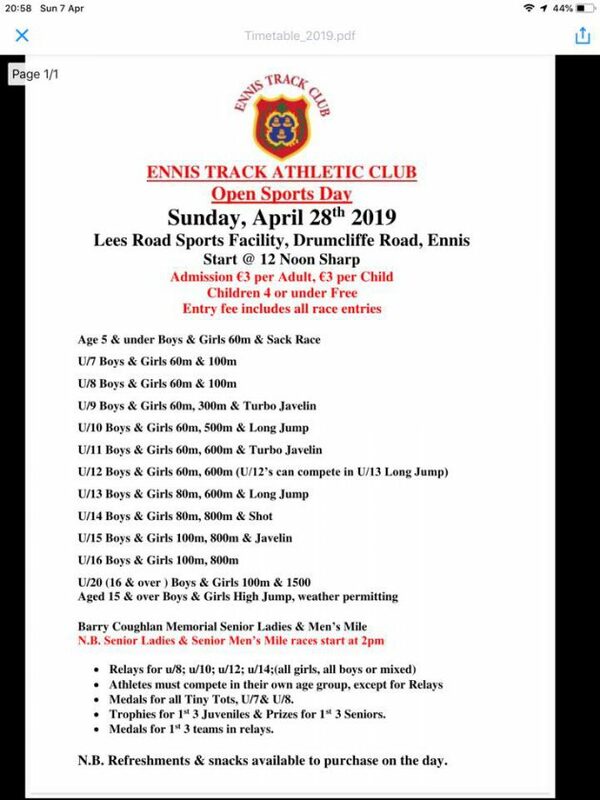 Ennis Track welcomes back all their athletes and encourages newcomers to come along to Juvenile Training which starts back on Monday August 27th from 6:00 pm to 7:00 pm & on each Friday also from 6:00 to 7:00 pm. 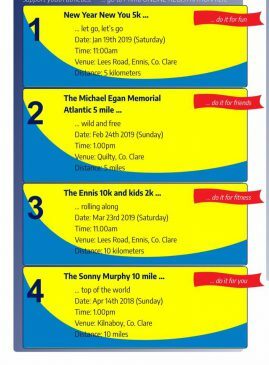 It is recommended to wear suitable runners and bring water with you. The cost is 1 euro nightly.